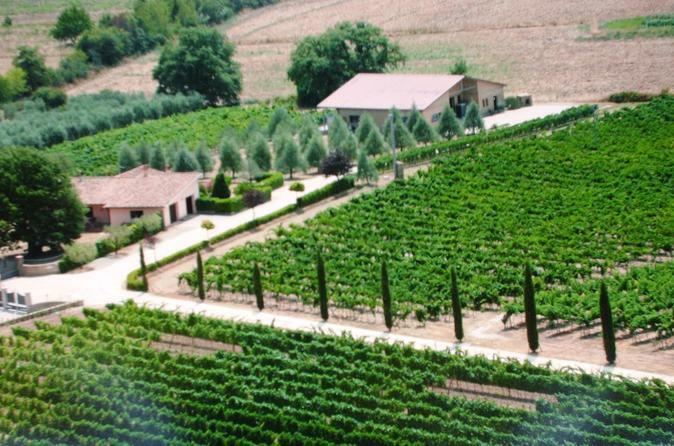 Tour a local Tuscany winery. Stroll through the vineyard. Taste wines, olive oil and honey. Savor delicacies such as Pecorino cheese and charcuterie plate. A tour to experience the authentic and genuine Italy of days gone by. Only one-hour distance from Rome, Tuscia (in today's Lazio region), the ancient homeland of the Etruscans, is one of the Italian little-known "gems", it has yet to be taken over by mass tourism, one of the reasons for its genuine simplicity. Seven days full of history, culture, nature, fine wine and food will make you fall in love with the land. 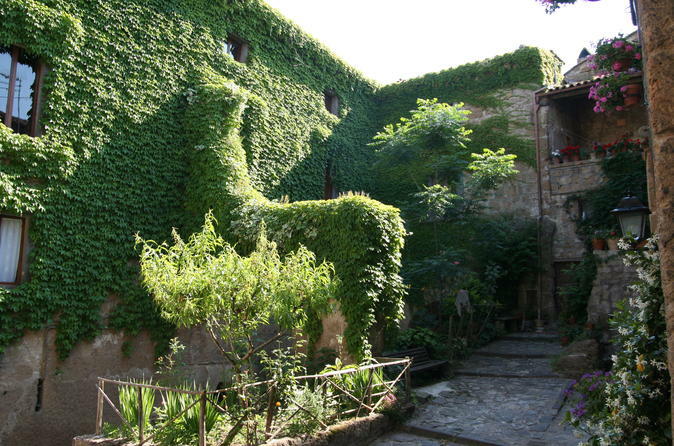 Come immerse yourself in the gentle natural landscapes of Tuscia and in its history spanning millennia. A tour to experience the authentic and genuine Italy of days gone by! Only a one-hour distance from Rome, Tuscia, the ancient homeland of the Etruscans (located in today's Lazio region), is one of Italy's little-known "gems"; it has yet to be taken over by mass tourism, one of the reasons for its genuine simplicity. A romantic weekend full of history, culture, nature, fine wine and food will make you fall in love with our land. 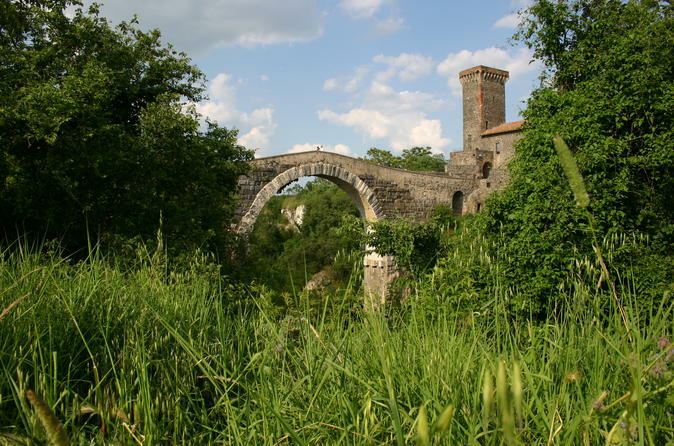 Come immerse yourself in the gentle natural landscapes of Tuscia and in its history spanning millennia. If you're passionate about wine, this is just the journey for you: a full Tuscia experience and in its ancient wine tradition! Tuscia lies in today's Lazio region. 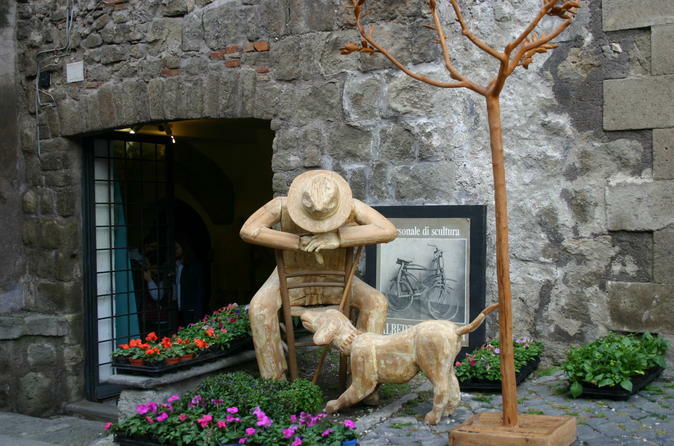 This is a tour to experience the authentic and genuine Italy of days gone by! Only a one-hour distance from Rome, Tuscia, the ancient homeland of the Etruscans, is one of the Italian little-known "gems"; it has yet to be taken over by mass tourism, one of the reasons for its genuine simplicity.